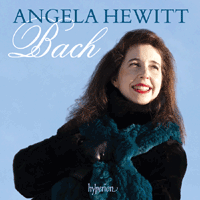 Angela Hewitt’s acclaimed recordings of Bach on the piano have received the highest critical acclaim and found their way into thousands of homes, selling over nearly 400,000 copies since her recording of the Inventions burst onto the scene in 1994. Now for the first time Angela’s complete solo Bach is available as a boxed set of 15 CDs at a special price. A perfect gift for the few music-lovers left in the world who have not experienced these matchless performances; and for those who have, a chance to fall in love all over again. Plus a free sampler disc of NOT Bach!